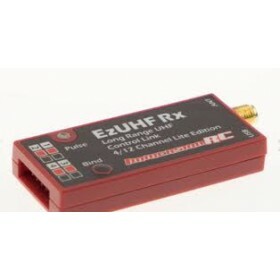 The ImmersionRC EzUHF transmitter has been designed for UAV & First Person View applications when longer distances are being covered or flights are being undertaken in more challenging flight conditions where there is a clear line of sight, the ImmersionRC EzUHF transmitter is a long range transmitter used with the Immersion C EzUHF Receiver 8 Channel Diversity or the ImmersionRC EzUHF Receiver 8 Channel Lite, either option will give outstanding performance. The ImmersionRC EzUHF has head tracking support this means that the head tracking is exclusively handled by the EzUHF transmitter. 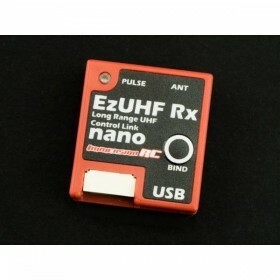 Support for any radio with any battery voltage is supported, as the ImmersionRC EzUHF transmitter has a built in power jack which will accept a 3S LiPo battery, so there is no need to open your radio and install any additional items, if you use a Futaba systems using a 9.6V battery or 3S LiPo the Immersion RC EzUHF transmitter can be powered directly from it. The battery power from either an external battery or the one in the radio is monitored and an audible alarm will sound to warn you when the battery gets low in power. 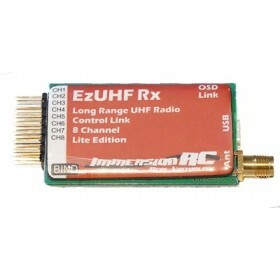 The EzUHF transmitter comes with an auxiliary input that will allow for new features for both FPV and UAV use in the future. 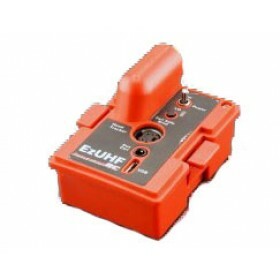 The ImmersionRC EzUHF transmitter has also got a power boost switch; this will boosts the transmitter power if you are starting to lose connection to allow you to regain control, this is a great feature to put you back in control. 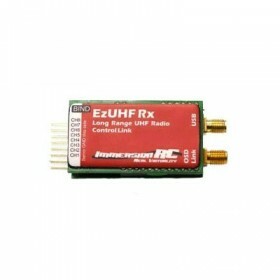 The ImmersionRC EzUHF Transmitter has FHSS that allows for Frequency hopping and spread spectrum security, the full duplex capabilities when used with the Immersion RC EzUHF 8 channel receiver Diversity unit offers a number of future possibilities, this feature is not available with the ImmersionRC EzUHF Receiver 8 Channel Lite. 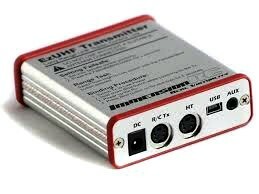 The EzUHF Transmitter has a USB connector to allow for programming and updating of the firmware in the future and fail safe settings with a single press of a button. Staff were very informative on my ridiculous length of questions. To top that, it's very well priced too. Still can't believe these are so cheap here especially since these perform way better than the JR Module version. Final note, you will get the latest blackbox version. Well done guys and thank you again.